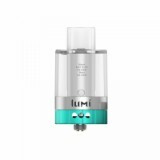 Now, about the Lumi Subohm Tank, it is built with FDA certified medical grade polycarbonate, which makes it quite unique. 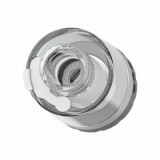 Let along the advanced AS chipset, this e-cig tank rocks! Now, about the Geekvape Lumi Subohm Tank, it is built with FDA certified medical grade polycarbonate, which makes it quite unique. Let along the advanced AS chipset, this e-cig tank rocks. If you are a fan of top refilling and adjustable bottom airflow, Geekvape Lucid tank is your thing. We recommend you to use it with the Lucid 80W TC Mod, they'll be a perfect match and offer you the best vaping experience. • You can also buy the Geekvape Lucid TC Mod and Geekvape Lucid Kit in BuyBest.